Even before the discovery of telescopes there were many amateur and professional astrologer / astronomers who tried to develop an understanding about the stars and its effect on our planet the Earth. For these ancients Earth was the centre of the universe around which all the other known stellar objects moved. From their observations and subsequent mapping of the positions of the stars they found that unlike the vast majority of stars, some of the stars are in constant motion. This led to the naming of these moving stars as planets, which means wandering star. Even though there is no substantiative evidence to attribute this naming to any particular astronomer, the word planet has its root in Greek. During that time only five planets were identified; Jupiter, Mars, Mercury, Venus, and Saturn. Thus, the planetary system had seven planets, including the sun and the moon which revolved round the Earth. 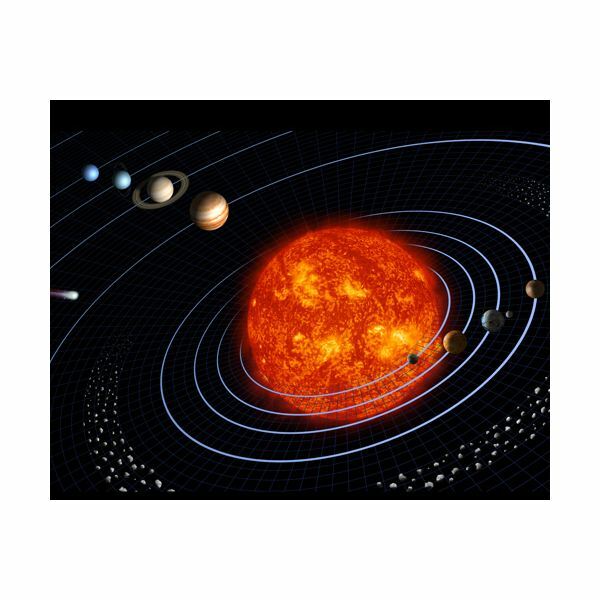 This theory of the planetary system prevailed until Copernicus came up with his heliocentric theory in 1543, according to which all the known planets including the Earth rotated around the sun and not the reverse. The study of the stellar bodies gained momentum after the discovery of telescopes. In the early 17th century Hans Lippershey, Zacharias Janssen and Jacob Metius invented the telescope independently, which was then modified and used by Galileo Galilei for observing the sky. This led to the discovery of Uranus in 1781, Neptune in 1846, and Pluto in 1930. Thus a new ordering of the planets in our solar system, including the Earth, was introduced and remained so till the controversial decision in 2006 of the International Astronomical Union to strip Pluto of its categorization as a planet.. As per that convention there are only eight planets in our solar system now and all except the Earth are named after Greek or Roman mythological characters. On the basis of their distance from the Sun they can be listed as Mercury, Venus, Earth, Mars, Jupiter, Saturn, Uranus and Neptune with Mercury occupying the nearest and the Neptune the farthest position from the Sun. Venus and Mars can be observed with the naked eye during clear nights. Basically the planets are divided into two groups; the terrestrial planets or inner planets, and gas giants or outer planets. The four terrestrial planets, namely Mercury, Venus, Earth and Mars, have a characteristic solid rocky surface whereas the four gas planets namely Jupiter, Saturn, Uranus, and Neptune lack a sold surface. Unlike the terrestrial planets there is no clear boundary between their surface and atmosphere.They are massive gaseous objects in which the density of the gas increases as it moves towards the core but never solidifies to give a rocky surface. Mercury, which is the closest to the Sun, is the second densest planet in the solar system and has no natural satellites. Venus: It is probably the first planet identified, as it is the brightest object in the sky with the exception of Sun and moon. Even though Venus occupies the second position it is hotter than Mercury because of its very dense atmosphere. Like Mercury, it too doesn’t have a natural satellite. Earth: It is the only planet in the solar system which sustains life. It is the densest planet among the eight members of the solar system and has one natural satellite; the moon. Mars: Circled by two small natural satellites, this red planet follows the sun in a greatly elliptical orbit. In addition to that it is the site of Olympus Mons, the largest mountain in the solar system. Jupiter: It is both the biggest and the fastest planet and has the most moons in the solar system. Saturn: Often identified by its rings, this planet is the second both in size and in number of moons in the solar system. Even though all Jovian planets have rings, Saturn’s rings are the most conspicuous. Both Uranus and Neptune are blue in colour and have a number of moons. Usually the order of the planet is based on its distance from the sun but the order is different if the parameter sorting them is different. For instance, if the planets are arranged in the order of their size then it will be like this Jupiter, Saturn, Uranus, Neptune, Earth, Venus, Mars and Mercury.